Jeff Gowdy is a globally recognized thought leader and practitioner in sustainability and CSR. He serves on the Technical Advisory Group for the CDP Science Based Targets project and teaches at Vanderbilt. His consulting firm, J. Gowdy Consulting, has won multiple awards for its innovative work. Jeff has served on hundreds of sustainability projects since 2002 for some of the world's largest companies, e.g. Home Depot, Verizon, Lexmark, TCCC. He manages PivotGoals.com, a project & companion database for Andrew Winston's book "The Big Pivot" , for which Jeff provided 1st draft edits. 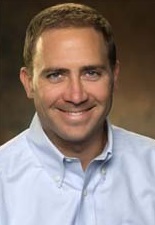 Jeff teaches in the MBA & Executive programs at Vanderbilt. He has guest lectured at Clemson University, Auckland Business School & VU Peabody School of Education. Jeff is a Sustainability Context member - global leaders bringing sustainability context into mainstream. He is a member of the GreenBiz Intelligence Panel. He writes for Sustainable Brands, The Guardian, GreenBiz, Triple Pundit. Jeff holds a BS in Systems Engineering from UVA and an MBA in Strategy & Environmental Management from Vanderbilt. He graduated with Honors from both programs. He received the Owen Service Award from Vanderbilt. What makes me good at what I do? A variety of life experiences have exposed me to a wide range of variables, which is helpful in solving problems. Learning to play an instrument, living in a foreign country, backpacking alone in the wilderness…all lead to heightened awareness of the world. Professionally, running my own consulting firm for ten years straight out of business school, while being invited back to teach at that school. Personally, being a good dad and husband. Starting my own business straight out of business school with just under $1000, an old laptop, and student loans due to multiple banks. People that love to travel, to eat good food, and to listen to Eddie Vedder and Jack Johnson. Swimming off a remote beach in the middle of the ocean, hiking to a mountain top above the cloudline. I like anything from Patagonia. They may be the one truly sustainable company. And they are run by really cool people. Finding more quiet and peace in an increasingly noisy world…via Transcendental Meditation, swimming, hiking, yoga, music, basketball.